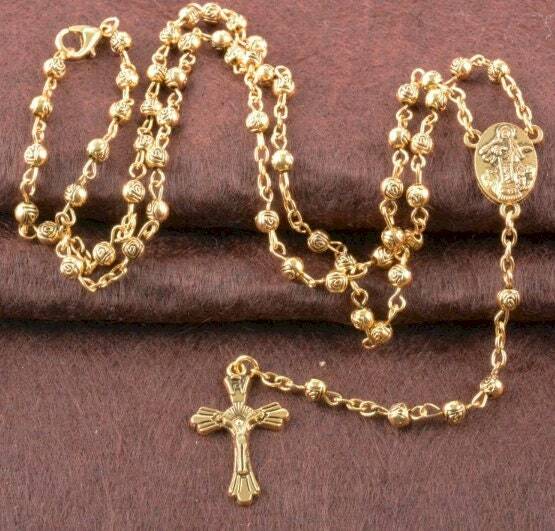 Jewelry Classic Cross Rosary. 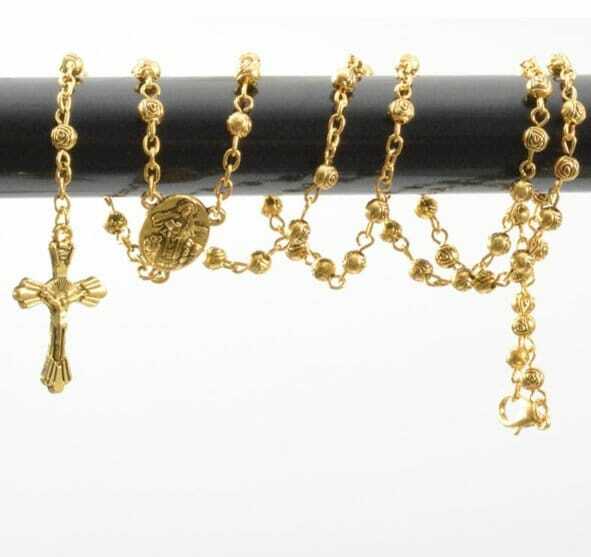 Fashion Women’s 18 k gold plated Rosary Necklace Virgin Mary and Jesus Cross Pendant. Comes with a beautiful gold link chain.